Today on this packed Thursday Bucky & Sully Show brought you ALL around the sports landscape in our “Headlines”! Obviously we discussed the Super Bowl which saw the New England Patriots win their 6th Super Bowl in the Brady-Belichick Era and some more of the celebration coming out of New England. Today is the NBA trade deadline and we are expecting some big moves – just not anything from the Pelicans going to the Lakers…so we think. We kept you up to date on the wire up until noon and got some opinion and discussion in there as well. With the MLB set to kick off we hit on some of the rumors swirling about Manny Machado and Bryce Harper! We got opinions and some speculation from the guys. Local college hoops on the docket this weekend include UB and Bona and the guys made sure to get into that and break down some of those games as well. 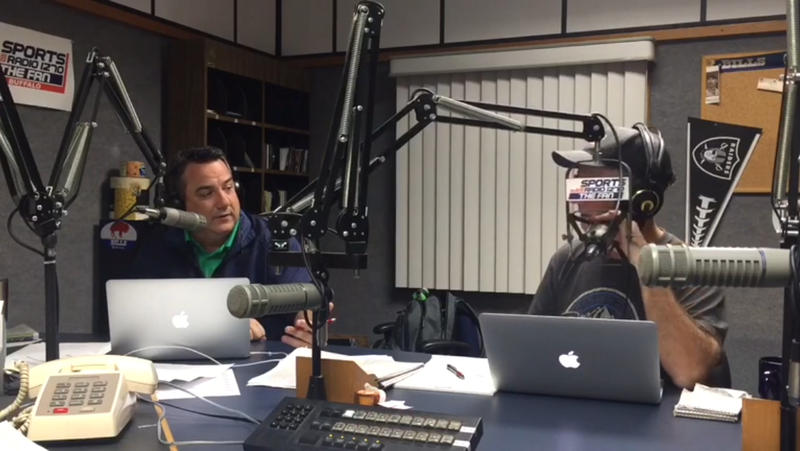 HOUR 1:OPEN, POLL, talking Sabres, NBA trade deadline and ThermoSTATS. HOUR 2: BUCK UP! Did infact take place! We were joined by Michael Smith of NHL Canes.com and more on NBA trades. Headlines! HOUR 3: SALTY SULLY, very very Salty, he kicked off the hour. Poll wrap up, Tommy Deas ,SHOUTOTUS closed out the show!